Welcome to the Earth Stewards Directory, an online clearinghouse of environmental stewardship activities and resources for Ohio faith communities. Of course, there’s an internet…but, don’t we prefer to receive information from a trusted source? Ohio Interfaith Power and Light’s Earth Stewards Directory, a clearinghouse of resources, is designed to be this “trusted source”! Maybe your congregation is thinking of starting a local garden. Learn from other congregations about how they did this. Want to start a Green Team? A recycling program? The Earth Stewards Directory can connect you with other congregations who share their experiences of stewardship and creation care. Projects – Gardens, lighting, energy audits, insulation, recycling, etc. Congregational “stories” – what has been done? Go to Directory Listing and explore! You’ll see the top 10 most recent Directory entries, but you can also search by topic/keyword to find more entries of interest to you. 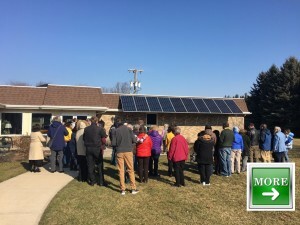 As we talk with members of houses of worship and find out what has worked for them; as we gather in workshops and meetings and share our stories; and as we encourage YOU to add to the Directory, we’ll build a powerful testament to the many wonderful works of earthkeeping in Ohio’s houses of worship. Do YOU have a suggestion for a good resource? Click below and fill out the form. We’ll review your entry and add it to the Directory. Remember, this is a Directory of resources that have been USED and SHARED in Ohio’s houses of worship.